I don’t know about you, but I’m more than a tad excited about Microsoft at the moment. The company, moving into a massive product release cycle, is all over the news, making it a fun time to stare and Microsoft and type. This week’s roundup is even more summary than usual, due to the diversity of what happened in the firm’s universe. Therefore, if you need a much better look, head here, and drink your fill. Now, as I exhort you every week, ensure that you are following the lovely TNW Microsoft on both Facebook, and Twitter, and let’s get into the news. Microsoft has agreed to buy Yammer for $1.2 billion. That’s a fat sum, but one that could make sense from a strategic perspective. Microsoft makes a huge portion of its revenues and profits from selling productivity software to enterprise level customers. Billions. Therefore, to see a company like Yammer, moving as quickly as it was, probably made Microsoft sweat a bit. Now, before we get our boxers biffled over the price tag, I managed to learn that the company is growing at about 300% a year, and, in the opinion of one person with knowledge of such things, that the billion dollar pricetag made sense, in their view, from a revenue perspective. Make of that what you will. It’s the vaguest of notes I could share, but it’s all I’ve shaken loose. And another note, Yammer is no Instagram, it’s a large, established businesses, with meaningful revenues. Microsoft may have paid a premium for it, but the deal is hardly ludicrous, provided that Yammer is indeed as large as many assume. Windows 8’s terrifying logo (you might like it, some do) became more confirmed this week, as a new set of icons bearing its visage leaked. TNW’s own design guru Harrison Weber doesn’t despise the logo, so I might be off the ranch, but, really, I’m not. Windows RT, formerly known as Windows on Arm (WoA), the ARM edition of Windows 8 that will ship with a version of Office, will cost around $85 to tablet manufacturers. That’s leading to pricing pressure. There are three tablet price points that are quite difficult to beat: The $200 Kindle fire, the $399 iPad 2, and the $499 current generation iPad. The cost of Windows RT then, means that the available cash is lessened for actual unit construction. The situation is complex. For more, head here. 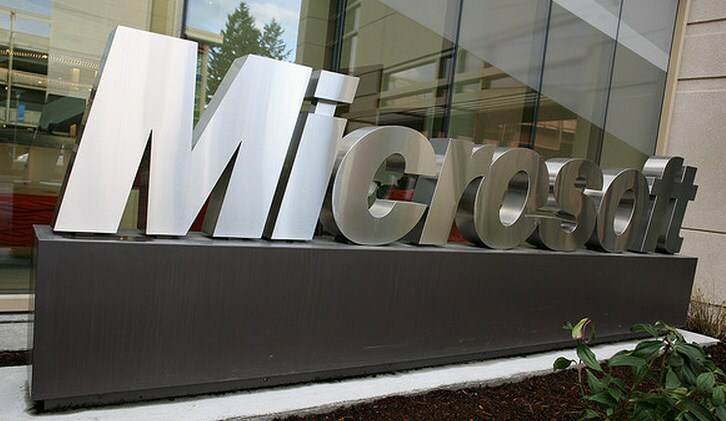 Microsoft plans to pitch Windows 8 in the following way: It’s like Windows 7, but better! This week Microsoft made it known that “Hundreds of thousands of folks have been using the “App Preview” of Mail on a daily basis since the Windows 8 Release Preview.” And if hundreds of thousands are using that one app every day, then I suspect that millions are using the product on a weekly basis. Strong numbers, in my view. Microsoft may be building its own tablet. That leads us, actually, to the next topic. Let’s go. There are two Microsoft events this week, one in LA, and the other in San Francisco. The first, in LA, on Monday, is what most people call ‘an utter [expletive] mystery.’ Really. No one knows. Some people think that they know, and have put forth things such as: Microsoft buys Hulu; Microsoft announces Yammer purchase; Microsoft launches its own tablet line; Microsoft introduces Xbox Music in a more real way; any other crazy thing that fits in a headline to drive pageviews. The strongest rumor is hardware oriented. But the event is in LA, so you almost think that this it is more entertainment focused. We don’t know. But we will shortly. Oh, and yes we tried to learn more. We just failed. The second event, in San Francisco, is about Windows Phone. It’s supposed to be about the future of the phone line. We are reading that as ‘yep, time for a preview or an early build of Windows Phone 8.’ Should be a cracking time. We’ll bring you the news as it comes. Now, it’s time for a Margret Thatcher (Myers, tonic, and lime, stiff). Get that weekend started.